Everyone has their own favorite banana bread recipe, it seems, and the Internet has plenty so what am I doing adding another? 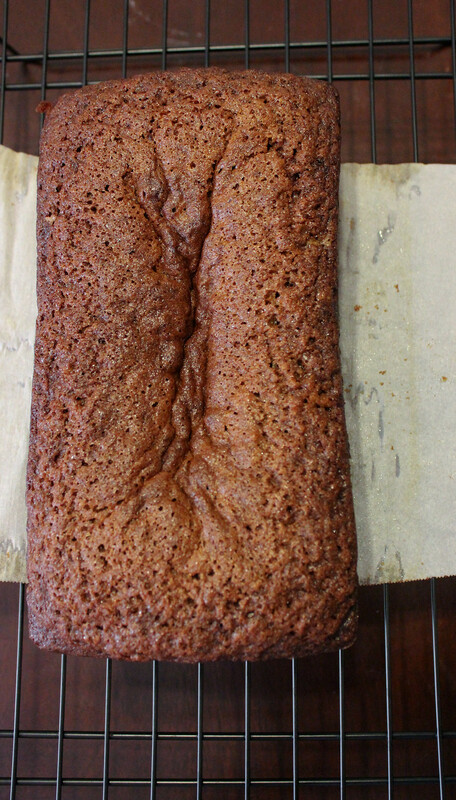 Well, when I looked for a recipe to make banana bread a few weeks ago, I didn’t find one that I loved. Either they called for ingredients I didn’t have on hand, or they seemed too simple and I wanted to add a bit more flavor to them. I ended up turning to a basic recipe. I added almond flour and almond extract as well as a few spices, and substituted brown sugar for about 75% of the white sugar. I’m still getting the hang of recipe development, and don’t trust myself to create a baking recipe without some sort of framework. But I wish I knew how bakers do that. Some of the home bakers on Great British Baking Show don’t even seem to measure their ingredients. It’s incredible. 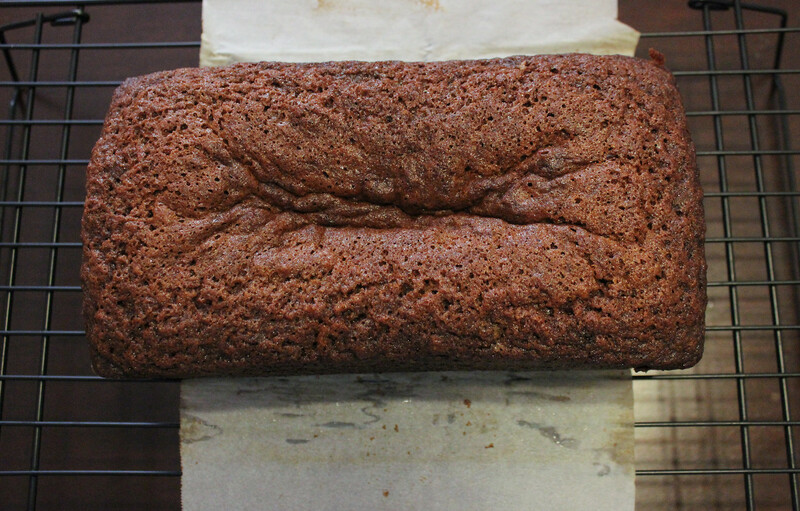 I thought about calling this nutty no-nut banana bread but that would be confusing and slightly inaccurate. 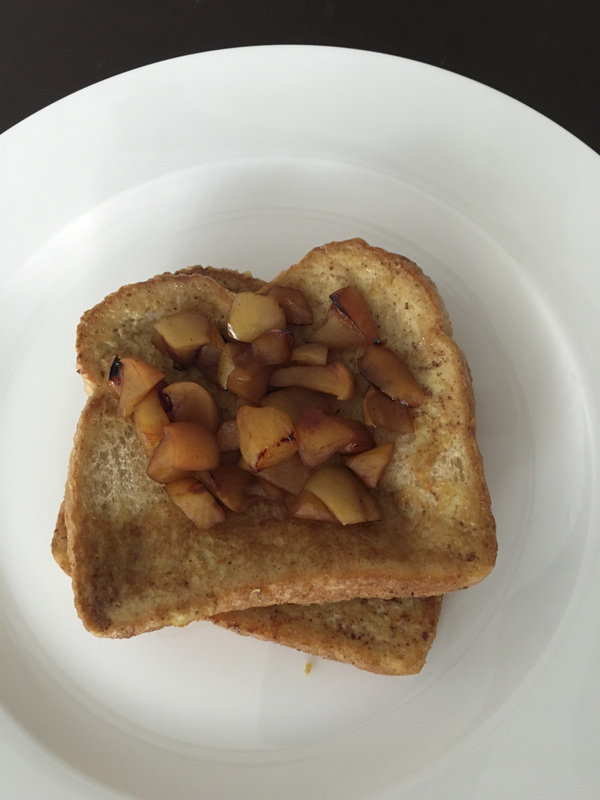 You see, it has a nutty taste from the almond flour and almond extract but it doesn’t have any crushed or chopped nuts like some banana breads. I came up with that “nutty tasting, yet without big pieces of nuts” idea a few weeks ago and then saw that one of my favorite food bloggers had the same train of thought. Robyn of Sweetish.co made cinnamon buns with GRAIN flour and said something similar about the flavor of them on Instagram. I guess great minds think alike. Preheat oven to 350°. Coat a 9x5x3” loaf pan with nonstick spray. 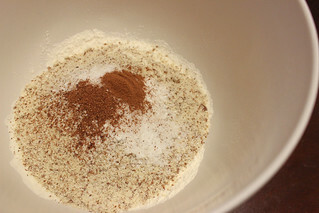 Whisk flour, baking soda, salt, cinnamon and nutmeg in a medium bowl. 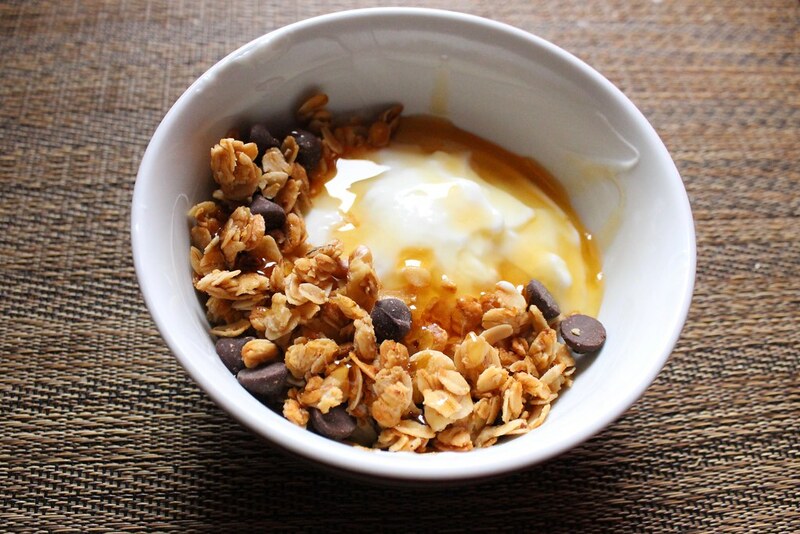 Whisk eggs, sugar, bananas, oil and almond extract in a large bowl until smooth. 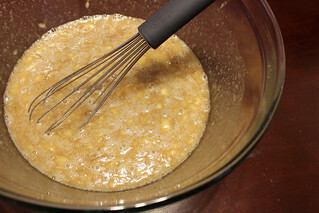 Add dry ingredients to banana mixture and stir just until combined. Scrape batter into prepared pan and smooth top. Banana bread can be made 3 days ahead. Store airtight at room temperature. I’m so glad it’s fall! Or at least, it feels like it should be fall. Even though it’s still 90 degrees in Southern California and will stay around those temperatures until late October, most likely. But just 12 days until it’s officially fall! I’ve started decorating the house for fall with a fake leaf garland above the mantle, candles, a few small decorations, and later in the month, I’ll put the Halloween things out. I’m not too crazy about Halloween because I’m a baby and it used to scare me growing up. You will never see me at a haunted house. I’m getting into the idea of Halloween a little now though, especially because my husband and his family like it. Last weekend, I had company over and took that as a good reason to try out a new recipe. I wanted to make a coffee cake because it’s delicious and perfect for a relaxing brunch. I like reading recipes and then combining them to get the outcome I’m looking for, and this banana coffee cake creation is a direct result of that. It’s made from combining three different recipes on three different websites to get exactly what I was picturing in my head when I started searching for recipes. I’m not experienced enough to completely develop recipes from scratch (if you are, please tell me your secrets/methods), so this is my work-around. On days that I skip breakfast, my eating schedule gets out of whack and my whole day feels wrecked. To combat that, I’ve come up with a plan. For the past few weeks, I’ve been eating the same thing for breakfast almost every morning and I haven’t gotten sick of it yet. You might want to give it a go yourself.